As we grow older and enter into our twilight years we will be faced, perhaps inevitably, with the spectre of palliative, hospice or home based health care. 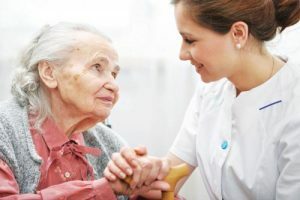 If we are lucky enough to live to a ripe old age without major health concerns, all we need is home care and that is relatively straightforward and fairly uncomplicated. It suffices to have a trusted, responsible and capable caregiver to help us with mobility issues, bathing, food preparation and the various tasks we have difficulty performing. And lucky you, in Bali, this type of care is still very affordable. Combined with regular medical checkups or home visits by a health care team, you can thank your lucky stars you don’t need more focused attention. It’s a totally different matter if you suffer a medical condition that needs constant attention and professional intervention. Then you need palliative care and your options are either daily at-home visiting nurses if your condition is manageable by that or institutionalised treatment. Just to be clear on the difference between palliative care and hospice care: palliative care is targeted medical treatment if you have a diagnosed serious condition that can be treated though not necessarily healed. Hospice care takes over when treatment is no longer effective and is stopped as it is determined that the patient is not going to survive the illness. Hospice care is mainly about pain management and making your last moments as comfortable as possible. Bali does have these services but not in the ways of our western world. As previous Boomer Corner articles have pointed out, at this time there is only one full-fledged private medical assistance facility in Bali that provides palliative and hospice care and that is SadaJiwa in Sembung village, Mengwi. A few of the area’s hospitals provide palliative care but the services are limited. Sanglah Hospital has a Palliative Care Unit and Home Care services but no inpatient hospice care. Prima Medika only provides palliative care for oncology patients. Home nursing care services exist but if you google the providers you will find out there is not an abundance of them. Regardless of all the talk and hoopla by the Ministry of Tourism about making Bali the Mecca of retirees by promoting senior living programmes, very little actually exists in the matter of providing services and infrastructure when those retirees, after a number of healthy and active years, become dependent upon medical care and assistance. Real estate developers who promote the so-called retirement villages that are sprouting like mushrooms after a big rain just offer blocks of villas or apartments designed for the still active and healthy retired set. There are no medical clinics or nursing services on the premises. Resident Care – SadaJiwa’s founder and director is Dr. Gede Patra – who is also the president of the Bali Hospital Association – and he kindly explained that SadaJiwa currently has 2 resident programmes. One is a plan for healthy people who do not need medical treatment other than occasional checks and vital sign monitoring. The other plan is for people requiring focused medical care. SadaJiwa looks like a model retirement village with attractive villas set in lush gardens and a quiet environment but it has an onsite medical clinic staffed by doctors, nurses and therapists, therapeutic facilities, an ambulance and links to BROS hospital in Denpasar. It is home to a number of Indonesian and expat patients with medical conditions such as Alzheimer’s, cancer, stroke and cardiac disease who are undergoing treatment and are cared for by attentive staff and nurses. Some of the nurses have been trained abroad in palliative and hospice care. SadaJiwa’s programme is holistic in that it incorporates care for the physical, social, mental and spiritual needs of the members of its community. Whatever your creed, belief system or level of physical and mental condition, the mission of SadaJiwa is to provide an environment conducive to retaining the quality of life for older or ailing people. Check it out at www.sadajiwabali.com. Home-based Care – Dr. Patra is fully aware of the dilemmas faced by the aging expat population in Bali and he has devised another programme to cater to the medical needs of visiting or resident expats. A mobile team consisting of a doctor and a nurse visit patients at participating hotels, resorts and private villas to perform checkups, monitor vital signs, consult on dietary needs and personalised exercise routines. At this time several hotels in Ubud, Bedugul and some beach areas are part of the project which is expanding at a rapid pace and is also being promoted to the existing traditional tourist villages (Desa Wisata) that are dotted all around Bali. Obviously this concept would be ideal for the retirement villages and communities, especially in the more remote areas or places where medical attention is not around the corner. This home care programme is also available upon individual request on a daily, weekly or occasional schedule. More information can be requested from Dr. Patra by calling 0812 3951 364 or email gede_patra@yahoo.com. Another exciting development is the acquisition of a remote telemedicine diagnostic system which allows real-time clinical analysis and performs up to 11 different medical and diagnostic tests like measuring body temperature, height and weight, blood pressure check, blood tests, urinalysis, oxygenation, electrocardiogram, heart monitoring, etc. The system is essentially a sophisticated portable machine – operated by a nurse or clinical assistant – that can be deployed at remote locations, even in the privacy of your own home. The results of the tests are sent online to a remote physician for diagnosis and a treatment plan can be developed if necessary. This is ideally suited to serve patients in offsite or remote areas and should be available soon as Dr. Patra is already in the testing phase of the project. Plan and Check – It is obvious that geriatric care in Bali is still wobbling in infant shoes. It is not a glamorous or popular specialisation and there are only 5 geriatric specialists in Bali at this time. Coupled to the scarcity of adequate care facilities for older and sick people, this picture is not very encouraging for expats with serious chronic and end-of-life conditions. So it behoves us doubly to plan and prepare for this eventuality, especially since health insurance plans do not always cover palliative, hospice or home health care. Best check your policy now. If you are a veteran, check those benefits too. Let’s hope geriatric care will get better in time and we can all enjoy Bali to the very end of our lives.